Kosher Tahitian Noni Juice™ offers all the benefits of the original Tahitian Noni Juicel™. It is packed full of iridoids that will make you healthier, give you more energy, and help strengthen and balance the whole body. 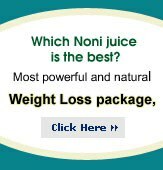 Building on hundreds of independent studies on the noni fruit, Tahitian Noni Juice™ is validated by more than a dozen human clinical studies. It's the perfect antidote to today's stressful life. Kosher Tahitian Noni Juice® is certified by the Orthodox Union under the kashruth supervision of Rabbi Asher Eckstein. The symbols on the bottle are the O U symbol and the certification symbol of the Kehilas Belz Congregation.